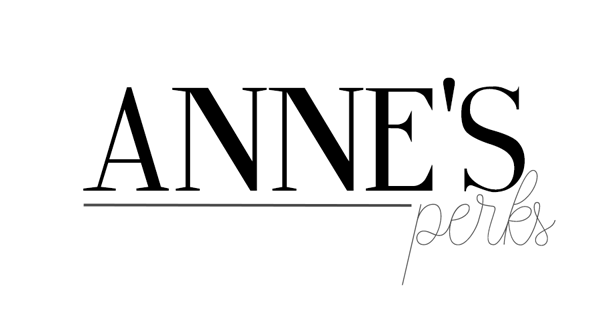 Today I bring you guys a review on one of my favourite skincare products from the drugstore. 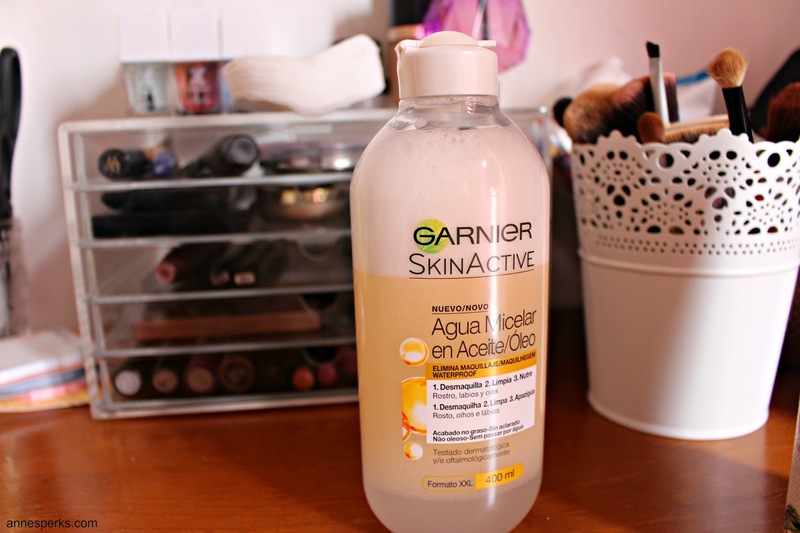 First of all I must confess that I adore Garnier skincare and in my opinion they have a few of the best products in the market. I love their makeup wipes, I'm addicted to their eye makeup remover, I love their mattifying face moisturizer and I also adore their micellar waters (I've tried the classic pink one, the oily skin blue one and this one). Being a person that loves the Garnier Fresh Eye Makeup Remover (see above) I knew I had to get my hands on this micellar water. 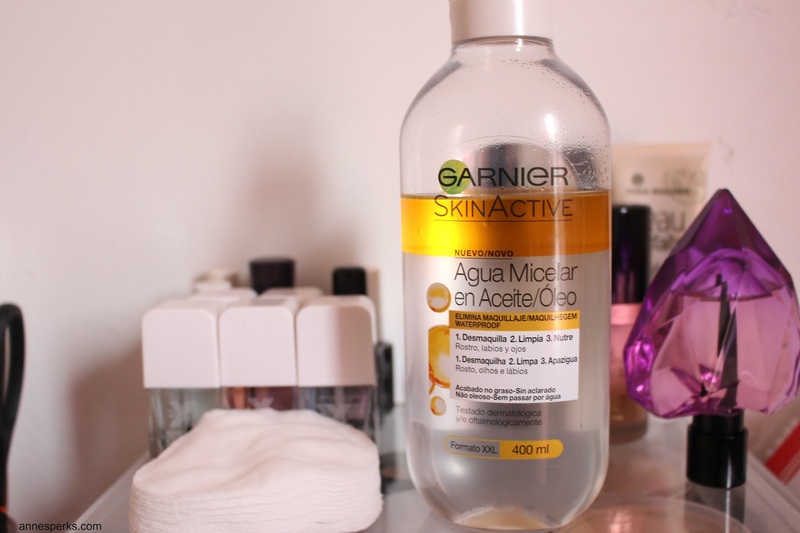 The variation on this one is that the micellar water is that it's a oil-infused formula, which means that this is every lazy girls dream on a product. 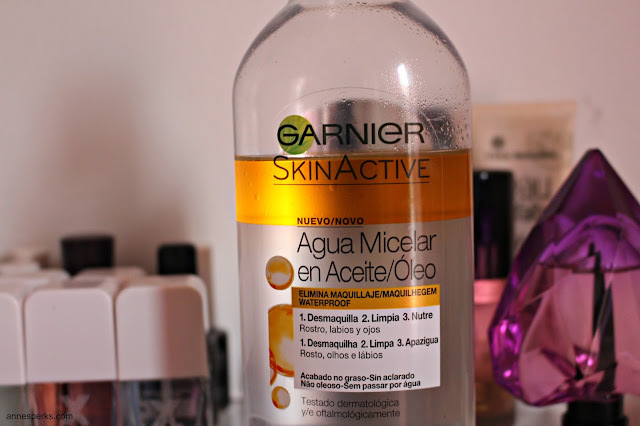 The Garnier Skin Active Oil-Infused Micellar Water removes everything from my face, literally every freaking thing! And i mean waterproof mascara, high coverage foundation and everything in between. You just have to shake the product first to get everything mixed in and them grab a cotton pad and remove your makeup. I love the feeling this leaves in my skin after I use it, makes my skin feel super hydrated and 100% clean. Also after using this I ALWAYS wash my face and use a good face wash to make sure I remove every bit of product that might still be in my face. Overall I think that this product is really good and that everyone should give it a try, mainly because I doubt that you can get a better price for a all in one kind of makeup remover. I must say though this has worked for me it can not workout for you once everyone has different skin types and reacts different to products. If you want to know I have combination to oily skin and this hasn't make me breakout or be oilier then normal. Have you guys tried this product? What do you think about it?